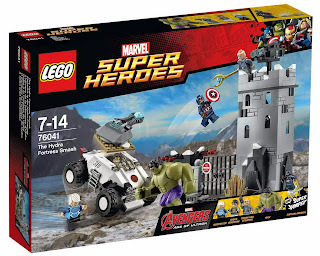 come with a hydra fortress and a hydra tank. 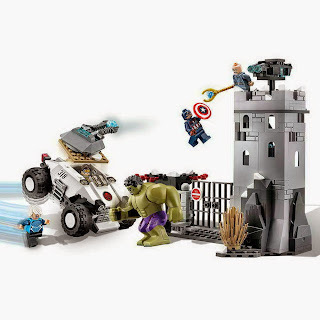 the fortress has explodable gates, a tower, a rotatable rooftop double stud shooter and a power vault. the tank has an openable cockpit, a removable roof and a rotatable cannonball shooter. 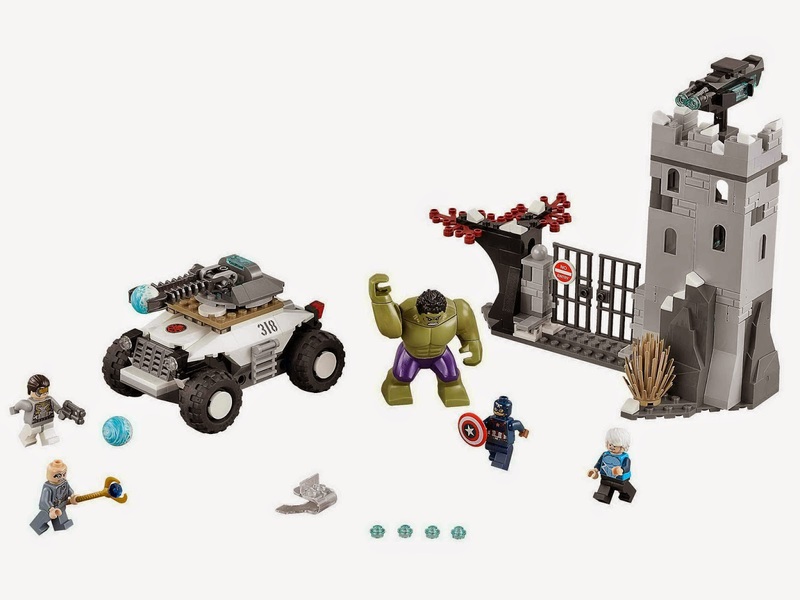 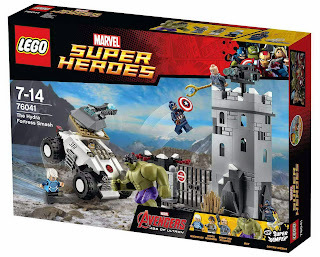 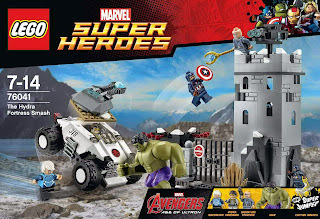 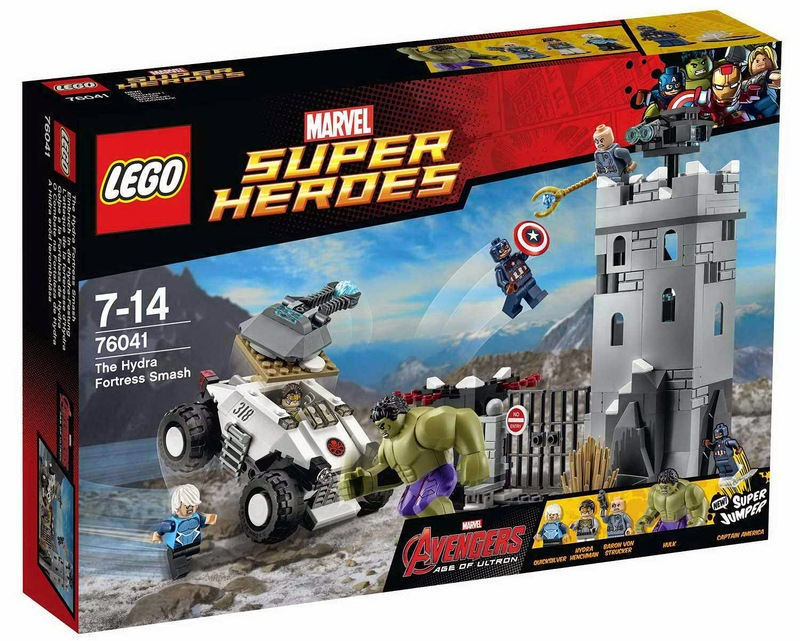 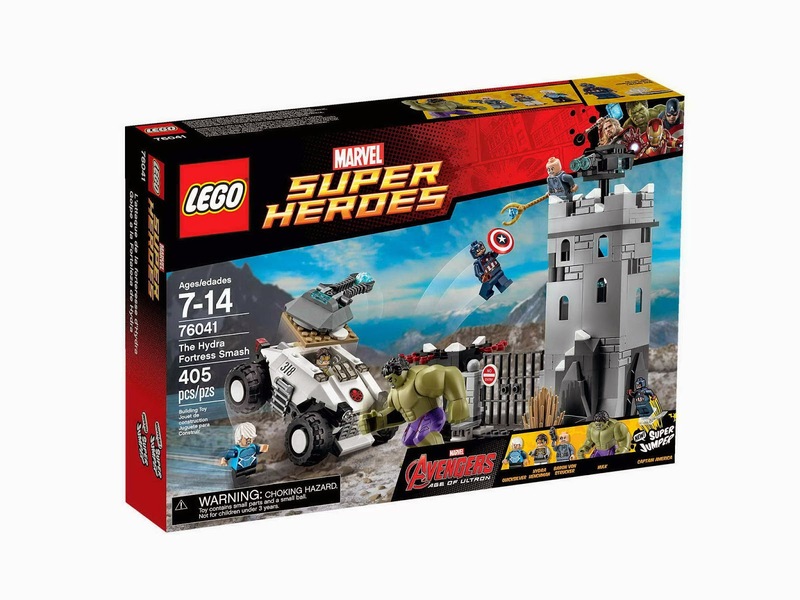 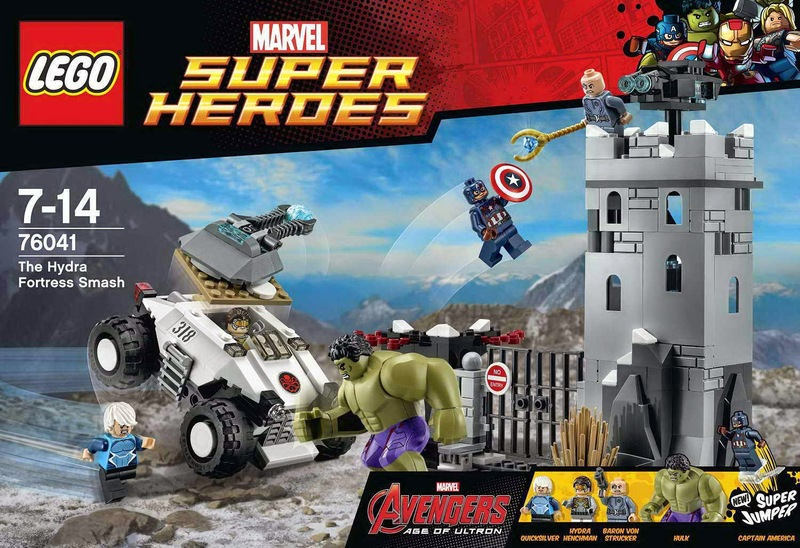 minifigs included a captain america minifig, a hydra henchman minifig, a quicksilver minifig, a baron von strucker minifig and a hulk figure.